Souq Planet: a new concept in the Middle East allowing customers to use their smartphones to scan and purchase items when in the store as well as checkout quickly. Souq Planet is a member of National Catering Company. 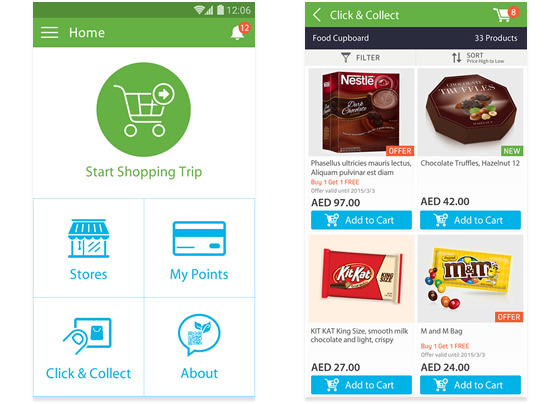 Souq Planet branded digital supermarkets are a new concept in the Middle East and allow customers to use their smartphones to scan and purchase items when in the store as well as checkout quickly. The app was developed for both iOS and Android and was interfaced with the "digital POS" SDKs to recognize the store being shopped at, the items being scanned and seamlessly complete a checkout activity.